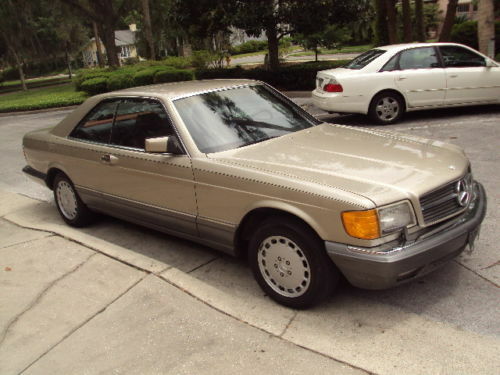 We have here a very nice 1986 Mercedes Benz 560 SEC! 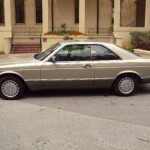 The SEC was Mercedes Benz Flagship Model, and cost upward of seventy thousand dollars, a pretty tidy sum of money twenty eight years ago! These cars have recently begun to come into their own, the prices have started going up, for nice examples, and I expect the trend to continue! The exterior of this car is beautiful, the paint is very nice, and there are no dings or dents. The finish on the wheels is great, although the tires will need replacement in the not too distant future. The air is cold, and amazingly, has never been converted to R134 yet. It still has all the R12 fittings! The engine runs smooth and quiet, as does the transmission. The driveshaft does have some vibration on hard acceleration, but smooths out when you back off the gas, it doesn’t do it if you accelerate easy! Probably either the center bearing on the driveshaft, or one of the mounts. 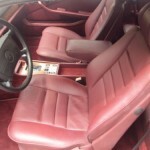 The interior in this car, is it’s crowning glory! 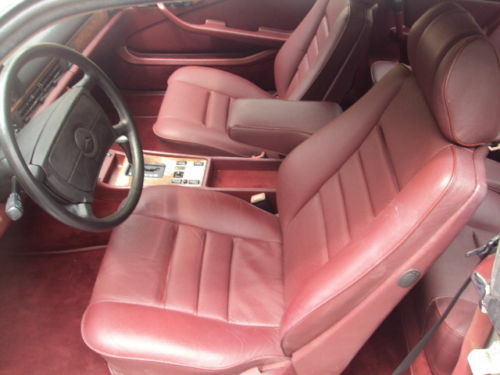 I deal in a lot of cars, (my first job in the car business was in 1973) and rarely do you find a car of this age, with such an awesome interior! The pictures don’t do it justice! In some of the pictures of the front seats, due to the lighting, the color you see, isn’t accurate! The pictures of the door panels will show you the true color! 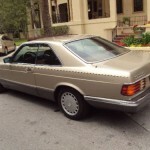 The elderly gentleman who traded it in, claimed that the back seat had never been sat in, and I believe him! 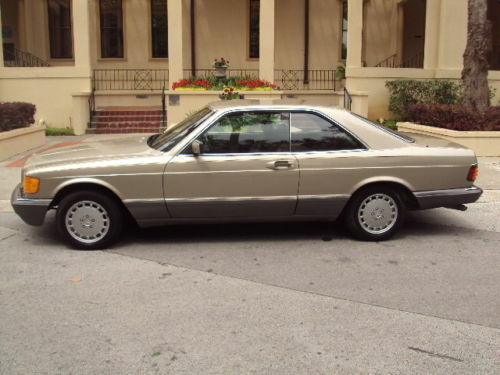 This combined with the fact that the leather is a very rare and elegant reddish brown color, that Mercedes Benz calls Henna! It really is stunning! The carpet is also absolutely gorgeous, the car has never been smoked in, and the lighter has never even been used. All of the power features, seats, windows, seat belt extenders, etc. work as they should, with the exception of the power telescope feature on the column. The radio recently started acting up, and is only working intermittently, the power antenna works great. The last time I drove this car, the speedo was working, but when I drove it to my photo location this afternoon, the speedo wasn’t working. I believe that it is the speedo head and not the speed sensor, as I tried the cruise control, and it is still working. I just checked on line and found used speedo heads, for under $100.00. In the State of Fla. when a car is over ten years old, the miles on the title read exempt, and that is how this one is reading. I try to describe all of my vehicles as accurately as possible, but any and all questions are welcomed, and indeed encouraged! My name is Pat, and my number is (352)363-8154 I am so confident in this car, I am selling it “No Reserve” it’s that nice! As with all of my auctions, I do reserve the right to end it early, as it is being offered for sale locally! Thanks for looking, and Happy Bidding! There are a few disclosed niggles, the worst sounding like the vibration in the drive train. I’d certainly want to get that sorted, but this isn’t a drag racer so full-throttle launches wouldn’t be the name of the game. The color combination looks great overall, the miles are very reasonable, but best of all has to be the price; at time of writing, this no reserve auction is hovering just below $3,000. 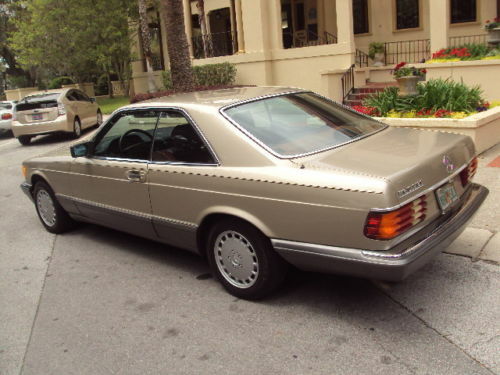 If this car remains under $5,000, I think you’d have a well bought classic that you could run for a long time to come and looks pretty stunning! 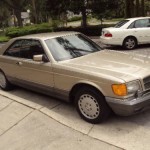 Tagged 1986, 560sec, C126, Henna, Mercedes Benz, Smoke Silver.